This is a cautionary tale of a past money making venture blundered because I didn’t insist on using a contract. Whatever you do, you need a formal agreement. 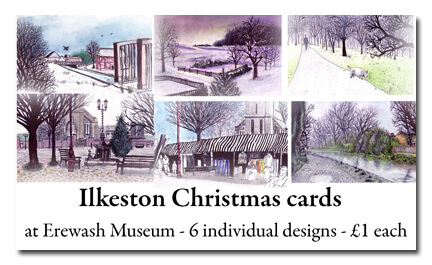 In 2007 I began a local illustration project producing postcards and greetings cards. Being keen (but green) I was eager to quickly get the products on sale. I approached shops, libraries and any suitable distribution outlet with my proposal. I struck up a relationship with my local museum but this turned out to be less than professional. The prospecting of sales venues led to my involvement with the local borough council museum. I got my foot in the door with the management by actually signing up to a local volunteer scheme run by the council and used this as a means to entry in the museum, taking care of the art exhibits and being a general DIY handyman! This was the route I took in establishing a mutual agreement for the display and sale of my work. 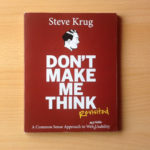 Critically, several important factors were left out of my decision making and I now feel I allowed myself to be taken advantage of. We set up a commission structure for which I stupidly offered 50% of sales to the museum. My rationale at the time was to try and strongly incentivise the management to push my products a little bit more. A formal contract was never drawn up. No names, no dates, no pricing and no general stipulations. Instead of executing due diligence I merely dropped in when I remembered to check sales. Unbeknown to me (during a lengthy period when I did not check in) the museum manager left the UK to take a job elsewhere and a new person was appointed in her place. Obtaining my money became a nightmare. I could not prove who I was because there was no record of my agreement with the museum. Even worse, I involved the local Citizen’s Advice Bureau who put words in my mouth, provided bad guidance and damaged my relationship with the museum permanently. As of now, the museum do not want to display my products for sale most likely because of the strongly worded letter I sent demanding payment. I got the money eventually but lost an otherwise excellent sales outlet. If I’d kept in regular contact and got a signed contract, there would have been no misunderstanding. I would have ensured the new museum manager was informed by the previous manager of our business arrangement and things could have continued uninterrupted. I might have been able to sell other art in addition to my greetings cards and made good money. The lesson I learned is never to rely on other people for anything. What annoyed me was the fact no communication existed between the former and current museum managers. Nobody knew me. On the other hand it was my fault for failing to act on my own common sense because I believed such formalities were unnecessary. The truth is, it only takes 10 minutes to customise and print a template agreement. If this had been provided this to the museum I’m sure it would have been passed on in good faith. My instincts for good business practices went ignored because Citizen’s Advice instructed me how act when I “confronted” the museum. Reluctantly, I posted a letter containing what I regarded as a set of rude demands. Even though I was basically right in citing various copyright laws and small claims proceedings, it was a bad first impression of myself for the group of museum staff who did not know me. In future I will use tactfulness on my own terms instead of mild threats suggested by someone else.